Sometimes there’s bad blood after a breakup, and whether it’s between the ex-couple, friends, or family, it’s always annoying. Imagine having to deal with drama between millions of fans? 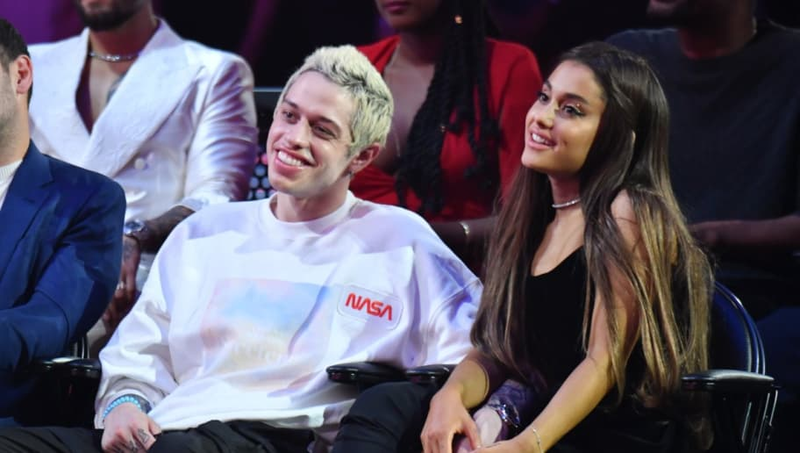 Well, Ariana Grande and Pete Davidson have been doing just that since they called off their engagement in October. 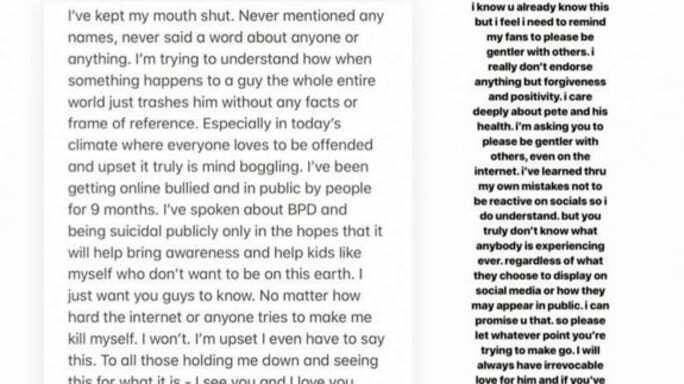 Ariana is now finally saying that she’s had enough, and is publicly standing up for her ex-fiancé against the various online bullying he's had to face. On Monday, Davidson posted a lengthy message to his Instagram, addressing those of Ariana’s fans who have been harassing him. In one part, the comedian wrote, "I'm trying to understand how when something happens to a guy the whole entire world just trashes him without any facts or frame of reference. No matter how hard the internet or anyone tries to make me kill myself. I won't." On her own Instagram Story, Ariana re-posted Pete’s message and wrote, "I really don't endorse anything but forgiveness and positivity. I care deeply about Pete and his health. I'm asking you to please be gentler with others, even on the internet." The 25-year-old SNL star has previously spoken publicly about his struggles with mental illness. In an interview with Variety, he admitted he's been “in and out of mental health facilities” since he was nine years old. Like many comedians, he has also used his dark times as material for his bits. "I tried to drown myself in the pool when I was in the fourth or fifth grade. I was trying to get my head stuck in the ladder in the deep end, so I would not be able to get up," Davidson told Variety. "But I'm too much of a p****, and my head is too small." We’re happy that Ariana and Pete are cordial with each other, and we hope fans on either side can be, too.